Arriving at the school in 2010 with weight loss being the primary goal, Mr. Barr began his martial arts journey in earnest. Steadily progressing through the belt ranks until he had an opportunity to begin leading classes, ultimately receiving his black belt in 2013. Mr. Barr continued training towards second degree when he suffered a devastating heart attack in June of 2014. Through a series of incredibly fortunate events, Mr. Barr survived and eventually thrived making what can only be described as an unlikely recovery. 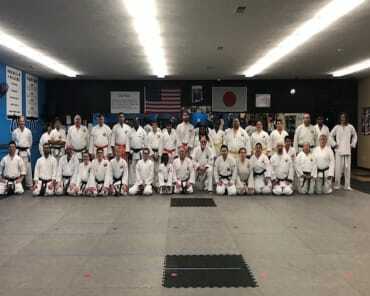 9 days later, he returned to the school and a year after surviving, he successfully completed his 2nd Dan testing. Mr. Barr brings an unbridled joy and passion for working with kids. 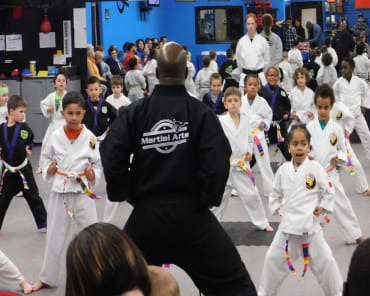 Along with the kicks and punches of traditional martial arts, Mr. Barr promotes healthy lifestyles for kids through a simple combination of talent, opportunity and hard work.